Discussion in 'K-POP' started by southclubstan, Jul 16, 2018.
choi_yuna_bias, monke, kpopfoodie and 10 others like this. YG's stupid mediaplay. Why is he even doing it? SaviorTwice, Suzan, mirella and 1 other person like this. Suzan and southclubstan like this. Redvelvetinfires and southclubstan like this. Suzan, Rainbow_unicorn, JiminieKookie and 1 other person like this. Zehila and Dreamer95 like this. MY LUNGS ! But knowing YG’s habits, it was probably on purpose. 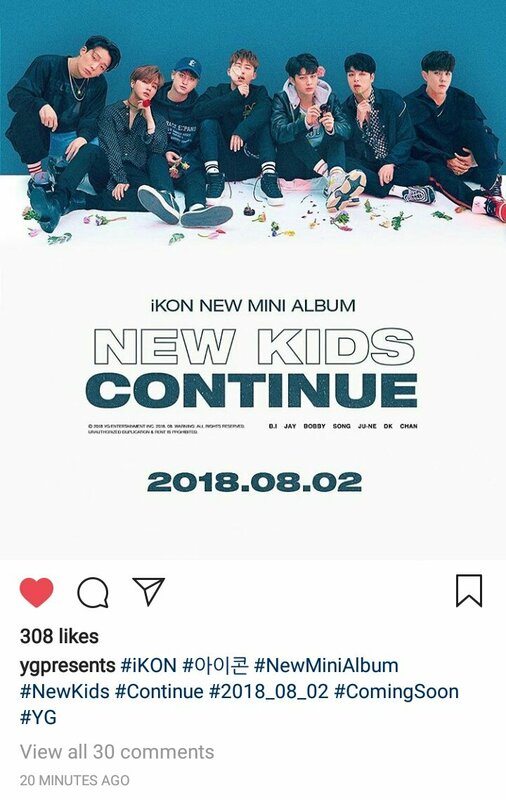 You don’t « post » these type of things by mistake especially being YG. YG really is incompetent, but yeah he probably did this to strum up hype. Who posts this and then all the tags accidentally? all the hashtags LOL what else is needed to show it wasn't a "mistake"
I don't care if it was mediaplay or not. I am excited . And we have more days to prepare. I am not even finish with return appreciations thread. southclubstan, monke and NIKKIEF like this. southclubstan and monke like this. I would answer him by saying : "This is ikonic represent. Stop doing stupid thing mr yang, and give our boys a proper comeback! "